PWA International Women’s Day 2018! Come celebrate International Women’s Day Pasifika style with the Pasifika Women’s Alliance! The Pasifika International Women’s Day 2018 celebrates the efforts and successes of all Pacific Islander (PI) women in their roles as parent, carers, workers in Queensland, Australia and other nations. The objectives of the day is to enhance the sisterhood within our community and celebrate everyone’s achievements as women. Please invite your sisters, family, friends, work mates and neighbours! 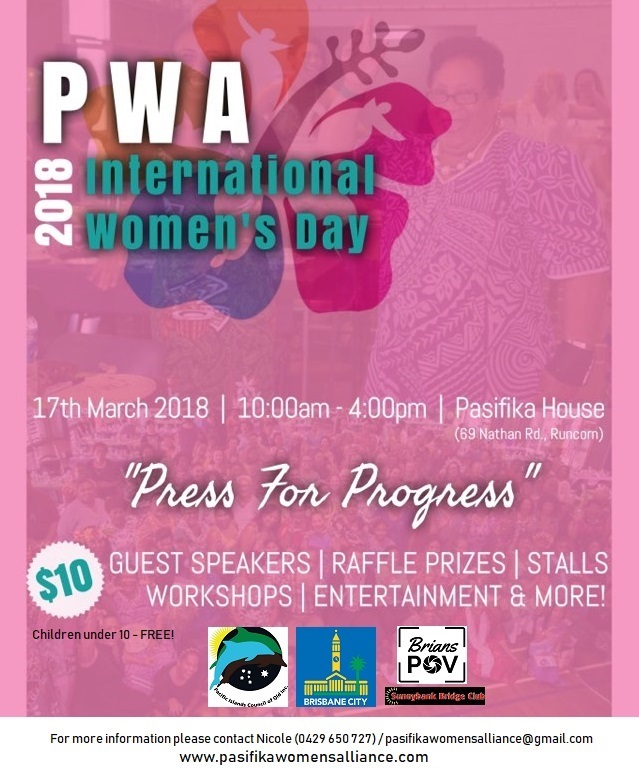 Previous Post PWA IWD 2018 – DATE CHANGE!